Mark Dowling is the new national criterium champion after blitzing the field in tonight’s showdown in Claremorris, Co Mayo. The DID Dunboyne rider attacked the field with three laps remaining and managed to hold on for a comfortable win despite a brave effort from pre-race favourite Páidí O’Brien. O’Brien, the winner from 2013, made the long journey up from Cork and was attentive at the head of the field for much of the night. But when Dowling hit the afterburners there was no one capable of going with him. It soon became a race for second, with O’Brien having a few bike lengths to spare on third-place Connor Hennebry (Carrick Wheelers). For Dowling, it’s confirmation of his blistering form at the moment and his second national elite title to add to his hill climb crown. Last weekend in France he was best of the six-man Irish team in the Kreiz Breizh Elite race (2.2) and took fifth in the mountains’ classification. A week prior to that he soloed to victory in the John Beggs Memorial, attacking in the final 20 kilometres and pulling out a gap of almost two minutes on eight chasers. Though he’s primarily regarded as a climber, tonight’s win illustrates Dowling has more than one string to his bow. 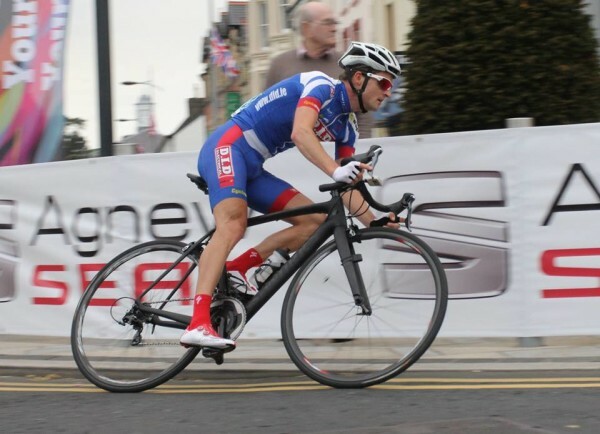 He is also joint leader of the SEAT Super 7 crit series which comes to a conclusion in two weeks. We’ll have an interview with Dowling tomorrow.